‘JANIS: A FILM’, documental online. ‘Janis: A Film’ é un documental dirixido por Howard Alk en 1974 que trata sobre a vida da maravillosa Janis Joplin, podemos ver dende actuacións en directo pasando por sesións de gravación ou entrevistas e coñeceremos os tristes segredos desta mártir da historia da música popular. ‘history of psychedelic rock’, documental online. 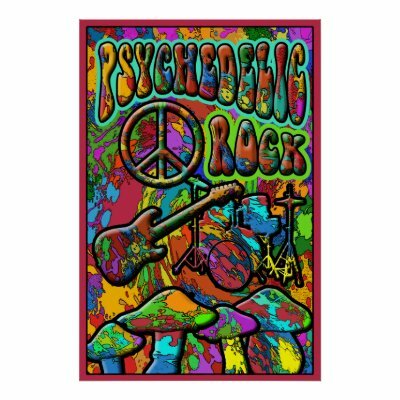 Psychedelic rock is a style of rock music that attempts to replicate the mind-altering experiences of hallucinogenic drugs. It emerged during the mid 1960s among garage and folk rock bands in Britain and the United States. Psychedelic rock is a bridge from early blues-based rock to progressive rock and heavy metal, but it also drew on non-Western sources such as Indian music’s rāgas and sitars. While the first contemporary musicians to be influenced by psychedelic drugs were in the jazz and folk scenes, the first use of the term “psychedelic” in popular music was by the “acid-folk” group The Holy Modal Rounders in 1964, with the song “Hesitation Blues.” The first use of the word “psychedelic” in a rock music context is usually credited to The Deep, and the earliest known appearance of this usage of the word in print is in the title of their 1966 album The Psychedelic Moods of the Deep. Roky Erickson, lead singer of The 13th Floor Elevators, coined the term ‘psychedelic rock’ in a 1966 interview. In 1962, British rock embarked on a frenetic race of ideas that spread back to the U.S. with the British Invasion. The folk music scene also experimented with outside influences. In the tradition of Jazz and blues many musicians began to take drugs, and include drug references in their songs. Beat Generation writers like William Burroughs, Jack Kerouac, Allen Ginsberg and especially the new exponents of consciousness expansion such as Timothy Leary, Alan Watts and Aldous Huxley profoundly influenced the thinking of the new generation. In late 1965, The Beatles unveiled their brand of psychedelia on the Rubber Soul album, which featured John Lennon’s first paean to universal love (“The Word”) and a sitar-laden tale of attempted hippy hedonism (“Norwegian Wood”, written by John Lennon). The British rock act The Yardbirds recorded the single “Happenings Ten Years Time Ago” in 1966, another track frequently cited as the first psychedelic song, this one due to its frantic evocation of drug-induced paranoia. Psychedelia began in the United States’ folk scene with New York City’s Holy Modal Rounders introducing the term in 1964. A similar band called Mother McCree’s Uptown Jug Champions from San Francisco were influenced by The Byrds and the Beatles to switch from acoustic music to electric music in 1965. Renaming themselves the Warlocks, they fell in with Ken Kesey’s LSD-fueled Merry Pranksters in November 1965, and changed their name to the Grateful Dead the following month. The Dead played to light shows at the Pranksters’ “Acid Tests”, with pulsing images being projected over the group in what became a widespread practice.